The inferior alveolar nerve block has the highest failure rate not only in dental local anesthesia, but also among all local anesthetic blocks in medicine. The “accessory innervation to the inferior alveolar nerve” theory supports the idea that incidents of unsuccessful anesthesia may result from innervations of the adult mandible arising from the cervical plexus in addition to the auriculotemporal, buccal, mental, incisive, mylohyoid, and lingual nerves. Hence, to achieve profound pulpal anesthesia in the posterior mandible, an accessory innovation anesthetic protocol that anesthetizes all the accessory nerves has been clinically proposed. Three different accessory innervation anesthetic protocol approaches are described in this article, as well as how to overcome pulpal anesthesia failure by implementing the intraoral cervical plexus anesthetic technique. This protocol will help alleviate patient’s fear to the dental chair while improving our profession’s reputation. Dr. Daniel Uzbelger Feldman earned an odontology dental degree (the equivalent of a DDS) from Central University of Venezuela in 1995, and his postgraduate certificate in endodontics from Carlos J. Bello Hospital in 1997. 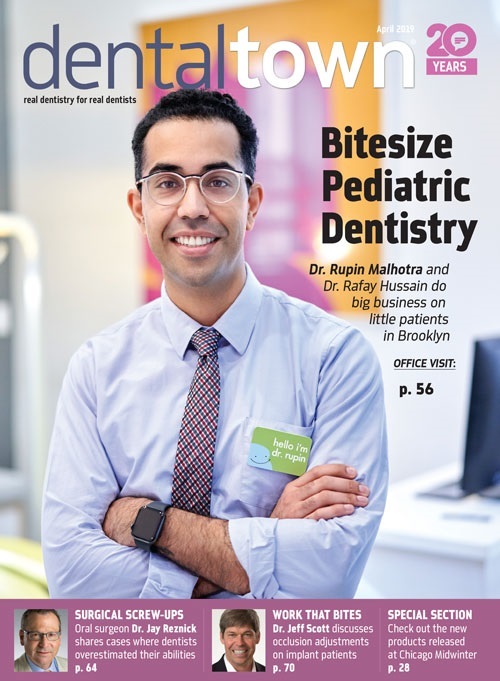 Since 2003, he has been affiliated with the Department of Endodontology at Temple University Kornberg School of Dentistry (TUKSoD), where he earned his DMD certificate in 2006. Uzbelger Feldman is involved with research activities in the low-dose dental imaging, accessory innervation in dental anesthesia and endodontic obturation materials fields at TUKSoD. With 22 years of experience, he worked five years at the private practice in Philadelphia, and now serves patients in the Cleveland suburbs. 1. Understand the problems associated with anesthetic failures in permanent dentition with the use of currently available anesthetic techniques. 2. Identify how accessory innervation may play a pivotal role in the high percentage of anesthetic failure on the posterior mandible. 3. Comprehend the cervical plexus nerve description and distribution in the mandible. 4. Recognize how these variations of anatomy allow for clinical decisions for implementing supplemental anesthetic techniques. 5. Administer the intraoral cervical plexus anesthetic technique to their patients. 6. Provide the accessory innervation anesthetic protocol to their patients. In the past 12 months, the lecturer/speaker declare that they have had a financial interest, arrangement or affiliation within the field of dentistry or health care with the following: Real Time Technologies, LLC, and Temple University Student/Faculty Research Grant.